Banner ads for products and services that are within the scope of the Russian Federal Law “On Protecting Children from Information Harmful to Their Health and Development” must contain age ratings. This banner needs an age restriction. For example, “16+”. An age restriction was added. Must add an age restriction and notice to consult a healthcare professional to the banner. For example, “Baby food from 8 months. Consult with pediatrician before use”. Age restriction and notice to consult a pediatrician are included. Must add store's legal information. 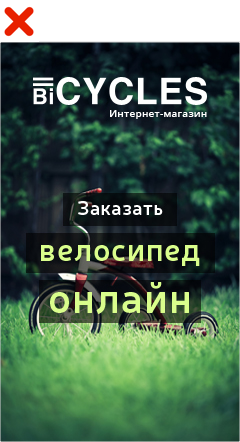 Например, LLC “Bike”, 125252, Moscow, Big street, 1, OGRN 1111111111111. Store's legal information added to banner. 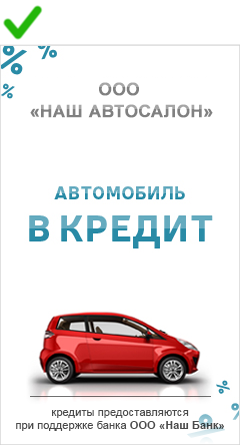 When advertising sales/special offers, the starting and ending dates must be included on the banner. 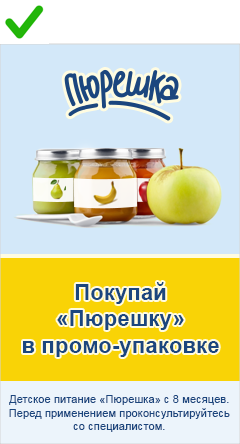 Example of wording: the competition runs from October 3-30, 2016. Information about the organizer, rules, dates, number of prizes, and prize distribution can be found on the site www.example-site.com. Banner ads for financial services must indicate the name of the legal entity and its business structure. Be clearly visible against the rest of the ad so that the user can read it without having to take any additional measures or use special programs/tools. Be readable even if screen resolution is low. Remain visible long enough for the entire text to be read at an average reading speed (150 characters a minute). Must add information about the company's business structure and the official name of the car dealership or bank that is issuing credit. 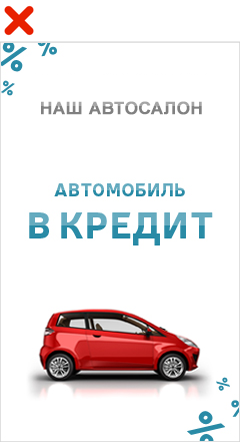 For example, “Our car dealership”, LLC, “Our bank”, LLC.